A wedding is one of the most important events in your life, and it’s important to make sure that your photographer has the opportunity to capture that magic. Once you decide on a style, theme, and location, the next step is bringing all the different decor elements together to create a cohesive, photogenic atmosphere. Check out these wedding décor ideas that look great in photos! Most modern weddings dedicate an area of the venue to picture-taking. 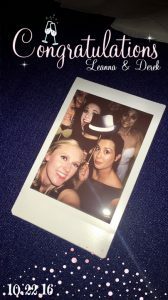 A photo booth with a fun background and props is a great way to break the ice for your guests who might not know one another, as well as just a way to capture all the memories. While you could rent use an actual photo booth, this isn’t a great way for your photographer to catch the laughs because people are hidden in the booth. Instead, design your own photo area by decorating a big wall space with flowers, tissue paper, balloons, and more. This is a great opportunity to get creative with your wedding theme. Use lots of greenery to allow your guests’ outfits to stand out, or print a cute monogrammed sign that your photographer can capture. Large letter balloons are also very trendy right now–you can create a background with them, or let your guests hold them. Either way, you’ll have a photogenic moment. Chances are, you’re most likely going to have eye-catching flowers at your wedding. But to really make a statement in photos you should think, “bigger is better”. 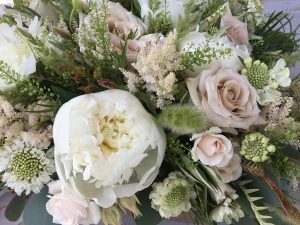 For the bridal bouquet, use a few large flowers like peonies, hydrangeas, or garden roses that will pop without overshadowing the rest of your look. Balance the big flowers with a lot of greenery and think soft, ethereal colors instead of excessively bright. You can also use flowers to transform your wedding venue. Work with your florist to create a unique floral installation that you can use as table centerpieces, or even as a backdrop or chandelier. You’ll impress your guests, and everyone (including your photographer) will love snapping photos of your one-of-a-kind designs. Smaller decor items like custom glassware and napkin holders also make for great photo-opp moments (plus, they won’t break your budget). One great way to make your table arrangements stand out is to rent colored glassware, rather than just ordinary glasses. Pair them with matching calligraphed save-the-dates and menus, and you’ll have an Insta-worthy shot. You can match the font to your theme as well, as many companies offer various types of scripts from traditional to free-hand. This is a unique way to give guests all the info they need from transportation information to the date and time of the event! A patterned table runner also brings a modern twist to your table by making your rented china look even better with the unique details. And if you’re not a flower person, opt for terrariums. Fill a vase with a little moss, a couple succulents, and add a candle and you have a perfectly pretty centerpiece that looks great on camera. 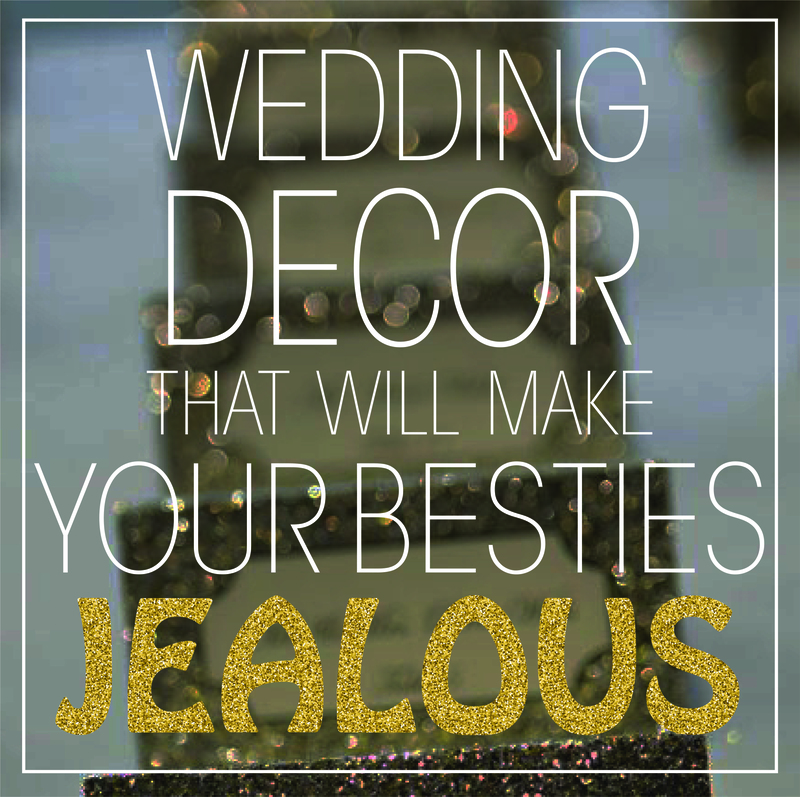 Consider your theme in every aspect of the wedding decorations. If you’re having a holiday Christmas or Halloween wedding, have your guests even dress in costumes to match! This makes for great photos not only because your details will stand out, but so will your family and friends! 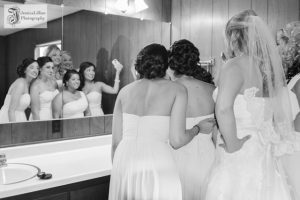 Mirrors have become increasingly trendy at weddings (because who doesn’t love a little extra sparkle and shine?). And despite being tricky to photograph, they are a great way to bounce light around your venue and come in handy for last-minute makeup checks. Get creative to avoid any awkward photographs of unwanted people in your pictures by decorating with mirrors in unconventional ways. With a paint marker, you can use a mirror to display your signature cocktail menu or as a welcoming message next to the guest book. Mirrors can also be used for centerpieces as a tray for flowers. 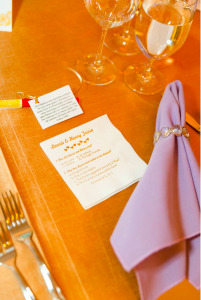 And floor-length mirrors make excellent seating charts – spray paint the frame to match the rest of your color scheme. This is a practical piece that will also bring a new level of sophistication to your ceremony. 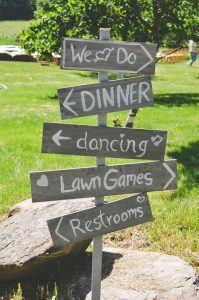 Reassure your guests that they are at the right location with a chalkboard sign leading up to the venue. Your guests will be able to see it as they drive up, plus it’s a great way to generate some extra excitement for the big day. There’s no better way to excite an SUV full of friends and family than to make the drive toward the venue more exciting. Decorate your sign with the same flowers and greenery or tie balloons to it for an even bigger “notice-me” look. If you want to get crafty, thrift an old frame and spray paint it to match the rest of your decor. Neon signs are also a wedding decor trend this year, as they are super colorful and truly make a statement. There are lots of versions to choose from, but if you plan to customize, go with a catchy phrase or your last name. 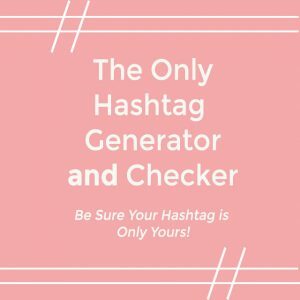 Guests will love posting this on their social channels, and you can repurpose this after your wedding is over. The memories you make on this special day will last a lifetime, and so will the photos. With these easy options, both your guests and the professional photographer will be able to capture the little details you worked so hard to plan. With all the details of the Big Day like travel plans, guest count and more, be sure not to overlook these tips! Pro-tip: Be sure to double check your venue contract to see if there are any restrictions before starting. For example, most historic sites do not want you to make changes that will alter or damage the property. When you have the go-ahead, the fun part begins! These wedding decor ideas also look great on your wedding video. You’ll also be able to relish in the beauty of your wedding with all the moments you captured. Check out the gorgeous decor in the video below! 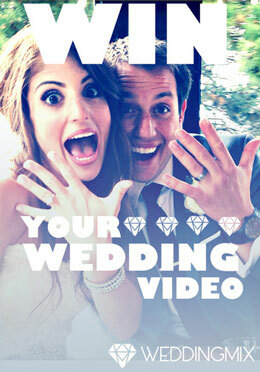 This video was shot by the bride and groom’s guests. 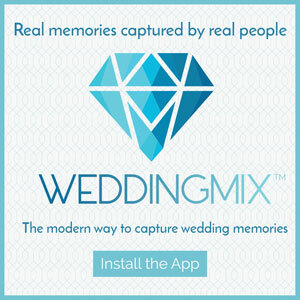 They were able to use their own cameras along with the WeddingMix app to capture the beauty of the decorations and the ceremony!